I have some wonderful and exciting news! 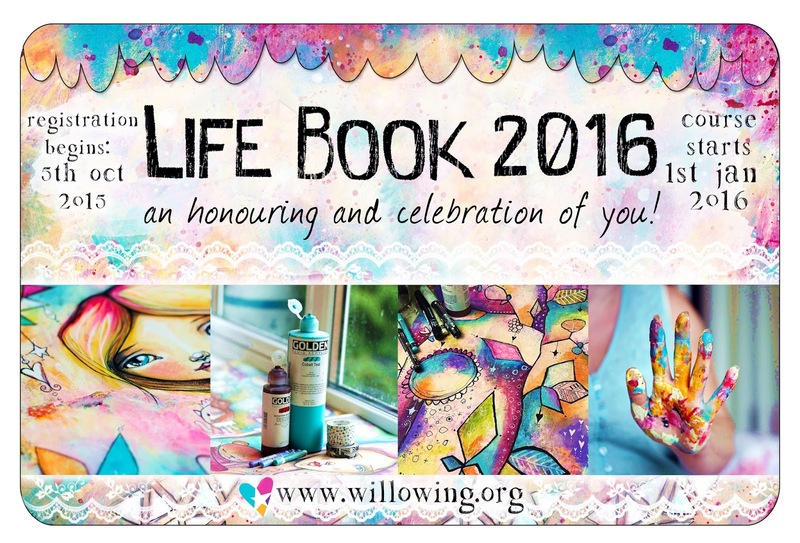 I am going to be teaching on Life Book 2016 next year! Artist Tamara LaPort is joined by 23 incredible art teachers who are all gearing up to share their mixed media techniques, tips and tricks with YOU! Themed around self-development and healing, you’ll be creating several loose mixed media art journal pages per month which by the end of the year you will bind into a glorious journal (a Life Book)! You will have a wonderful keepsake that you can treasure for the rest of your life! I will also be making a BONUS class on sacred self care and we’ll make a watercolor and a raw food, chakra balancing smoothie. Registration opens for LifeBOOK 2016 on October 5th 2015 and the class begins on January 1st 2016. Please follow he link below to go to my art blog and enter the giveaway … it’s super easy, just leave a comment! Previous story Teaching ART (and a little FOOD) on LIFE BOOK 2016 and a GIVEAWAY! !